Accurate measurement of engine horsepower at any RPM or manifold pressure setting. Ability to adjust the load on the engine at any RPM. Improved control of environmental parameters. Accurate measurement of engine operating parameters, CHTS, EGTS, Oil Pressure, Oil Temperature ETC. 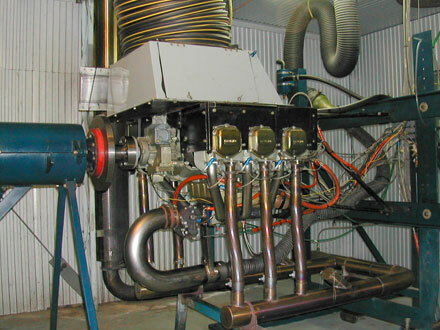 With the monitoring and instrumentation system used in our Dyno Test Cell, we can verify that the engine is developing its rated horsepower, and that all engine operating parameters are as they should be.